Plastic pegboards, one each of 3-3/8" Round, 3-1/8" Square, 3-1/2" Hexagon, and 3" x 3-1/2" Heart. Includes ironing paper and instructions. 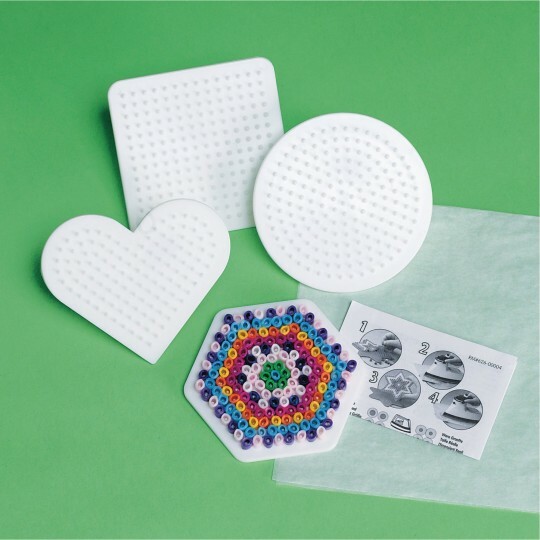 Plastic pegboards, one each of 3-3/8" Round, 3-1/8" Square, 3-1/2" Hexagon, and 3" x 3-1/2" Heart. Includes ironing paper and instructions. Colors may vary. bought extra pegboards so we didn't run out of the basic models for summer camp.